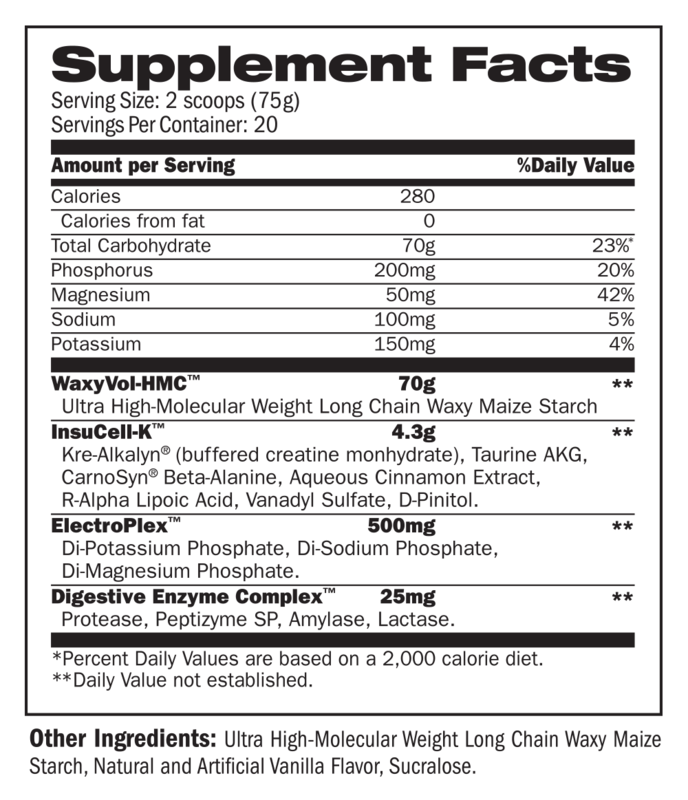 MASS FUZION™ is a four-phase, high-molecular weight carbohydrate based formula comprised of WaxyVol-HMC™, InsuCell-K™, ElectroPlex™, Kre-Alkalyn™, Beta-Alanine and a Digestive Enzyme Complex™. Set goals, smash your workouts, take quality supplements and repeat! Add MASS FUZION™ to your favorite post-workout protein supplement and bring on the MASS! SUGGESTED USE: Mix 1-2 scoops in 12–20 ounces of liquid or your favorite protein drink.